Day 4 of the Indonesia tour 2017 in Bali was quite a contrast from the busy and bustling atmosphere in Jakarta. 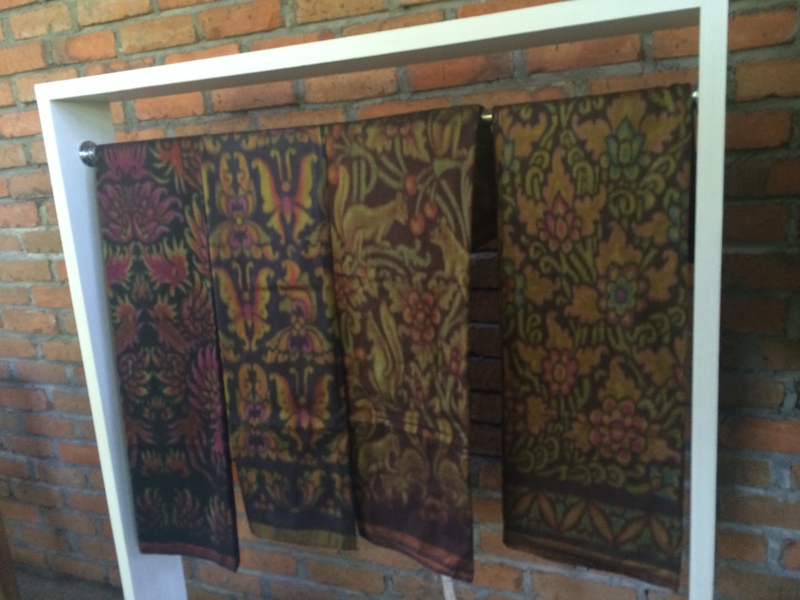 The second leg of our visit took us to a remote place in Bali to a family run fabric printing business called Tenun Patra. We got to see hand printed cotton and silk form into beautiful pieces of fabric. It was a pleasure to meet some of the employees, some of whom were family members. Tenun Patra bring silk from China and mix with cotton through a traditional weaving process to produce some luxurious top end designs. A lot of hard work and detail goes into producing the fabulous pieces of material which can be used for both male and female clothing. Thank you I Gusti Made Arsawan for your hospitality and welcoming us to show us how some wonderful designs are created.